Employers in the NHS are spending £97.5 million on training just 710 nurses via degree apprenticeships yet the government is refusing to help, says their umbrella body. NHS Employers said it is 'hugely disappointing' that a call by MPs for government help to cover the costs had been rejected. It said employers were being priced out of using the nurse apprenticeship to address the NHS's 'greatest' workforce challenge. The Commons education committee had recommended that employers in England be allowed to use the apprenticeship levy to which they contribute to help cover backfill costs. Apprentices are required by the Nursing and Midwifery Council to be supernumerary for more than 20% of their contracted hours, leaving employers to cover staffing costs during this protected learning time. But the government this week dismissed the idea in its formal response to the committee's recent inquiry into nursing degree apprenticeships and their affordability. The RCN claimed the government has missed an opportunity to reform the apprenticeship system and had failed to listen to constructive changes suggested by many stakeholders. RCN national officer team leader Gary Kirwan said the levy for apprenticeships was too inflexible and the traditional degree route was the only way to educate the necessary number of nursing students needed to fill vacancies. 'Investment in apprenticeships needs to be front-loaded by government investment, rather than rely on existing scarce resources across health and social care. 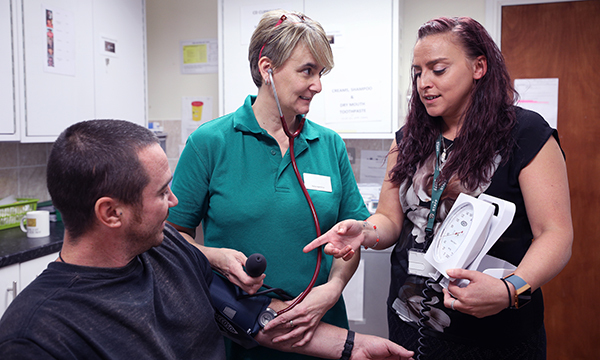 Evidence from NHS Employers shows the cost to individual organisations of training nursing degree apprentices equates to £34,348 over one year and £137,392 over the full four years per apprentice. This includes salaries, mentoring, supervision and backfill costs. The training costs are paid to employers' partner higher education institutions through the apprenticeship levy. By comparison, it costs £78,000 to train a nurse at undergraduate level over three years, according to the 2015 Shape of Caring report. RELATED: Can nursing degree apprenticeships deliver on their promise? NHS Employers chief executive Danny Mortimer said employers need to consider all routes into nursing, including apprenticeships and international recruitment, to address unprecedented vacancy rates. 'However, no additional budget is available, which is why flexibility in the use of the health service's £200 million contribution to the apprenticeship levy would allow employers to make fuller use of the degree apprenticeship route. 'In particular, financial support or use of the levy to fund the time spent "off the job" would enable growth of nursing apprenticeships.